My husband, Hugh Paul Corley, Jr., and his family lived in the Clock House from 1953 until 1959. His grandparents, Paul and Maggie (Margaret) Corley, lived in an old two story house on the south side of the Clock House. 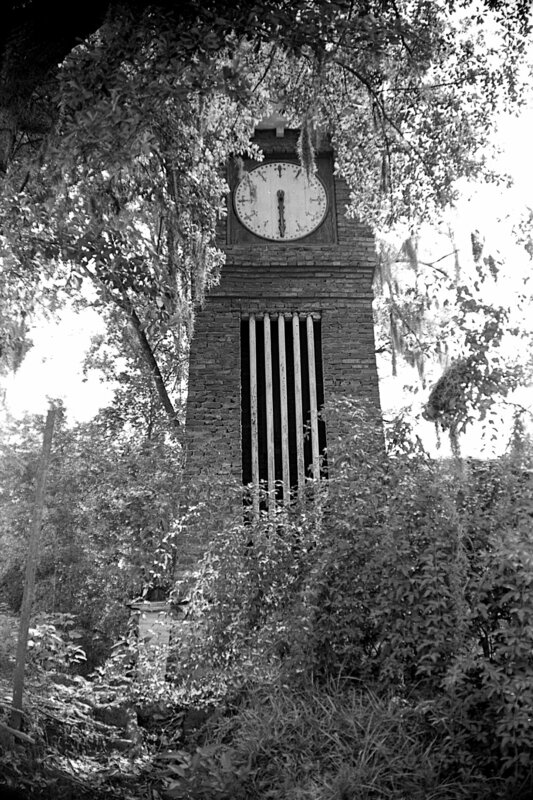 We have often wondered what became of this structure and where the actual clock went. My husband says the clock itself was made up on wood gears and he used to play up in the tower where the clock was actually housed. The plans for the 1890 Worlds Fair were up in the tower. Paul wishes now they had taken the drawings and preserved them. The living structure itself was made up of two rooms with a small kitchen. They added on a bathroom and closet when they moved there. It had no hot water. He has a couple of hand drawings of what the inside of the house itself looked like (drawn when he was a young boy), but you can get an idea of what it was like. Strange that you would research this because my husband was also born in 1948 and graduated from high school in 1966--Rickards, first senior class president. Paul would really like to talk to someone about the clock house. It's fascinating how one minute it was there and the next it was gone, and no one seems to know its whereabouts. Thank you so much for answering my letter. The old clock house had a lot of clocks inside. We were friends to the people who lived in the clock house at the time and we would climb up inside the tower and look at the mechanism. I was only seven years old when we moved from the cottage next door, but I came back to spend weekends with Mrs. Corley who lived in the big house next to the cottage. That house may have been built by Mr. Phillips, also. My folks rented the cottage from Mrs. Corley. 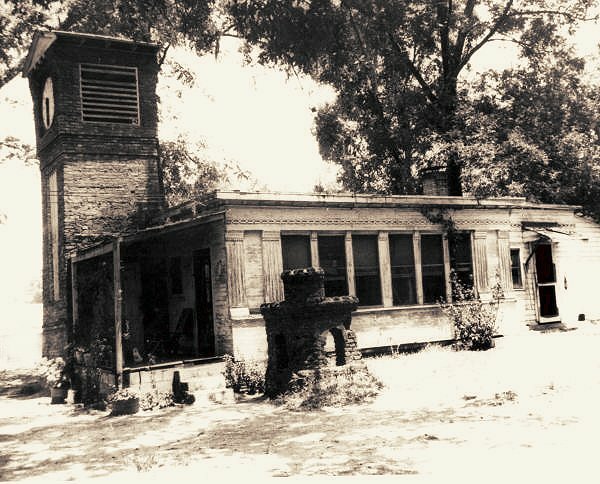 I believe she and Mr. Corley also owned the clock house at that time Out back between the clock house and the cottage was a little brick building that was in the shape of a windmill. It had a small door and you could stand up inside. It had a board ceiling with space up top where someone had stored paint cans. I still have the scar where one of the cans fell out the window on my head. Next to the clock house was the most unusual looking brick birdbath and planter combination. It was at least five feet high. I have never seen anything like it since. Someone took a picture of my brother and me in front of it. All that remains on that side of the block (at the very end of South Macomb Street) are the doorsteps leading up to the Corley house and a lot of undergrowth. My question is; who tore the clock tower down and where did they take it. Mary Ann Lindley wrote an article about the clock house several years ago, showing a picture of it and her question was the same; who took the clock? It was worth preserving for history.